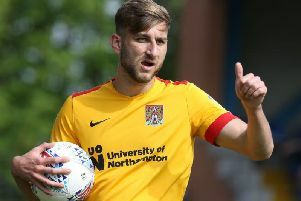 Cobblers can extend their unbeaten run to five games if they avoid defeat to Crewe Alexandra at Gresty Road this afternoon. We'll have all the build-up, in-game updates and post-match reaction as it happens on this page. Hit F5 or refresh for the latest news from Cheshire.